** - NCDOT is constructing a freeway bypass loop around Fayetteville. There's some indication that this terminus will change to either end where the loop junctions with I-95, or US 13 will be rerouted to follow the bypass loop. 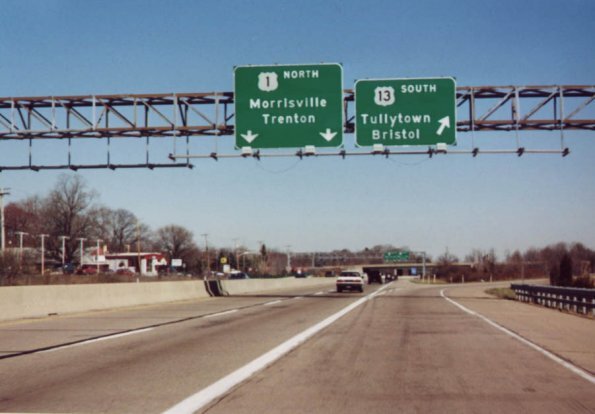 Guide signage along the northbound US 1 freeway, at US 13's northern end near Morrisville, PA. Photo by Alex Nitzman.